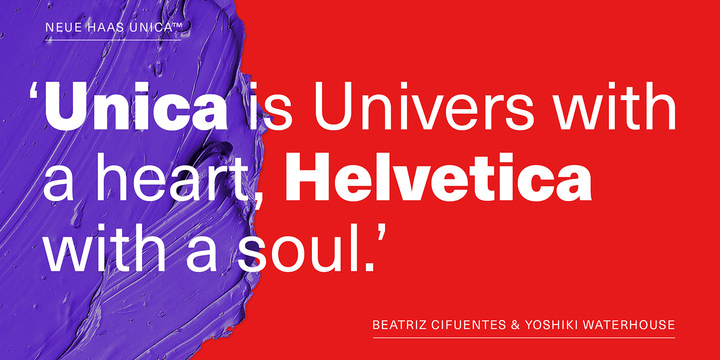 Neue Haas Unica is actually an extension or rather an enhancement of Haas Unica. Those familiar with Haas Unica will certainly realize as much. A common replacement for the legendary Helvetica font, it was one of the most popular fonts in its time before almost vanishing completely. Monotype Studio’s designer Toshi Omagari has given this old school font a new and improved face, with enhanced weights, and a variety of languages and letters in line with newest printing standards and requirements.